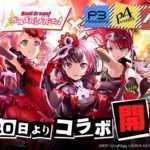 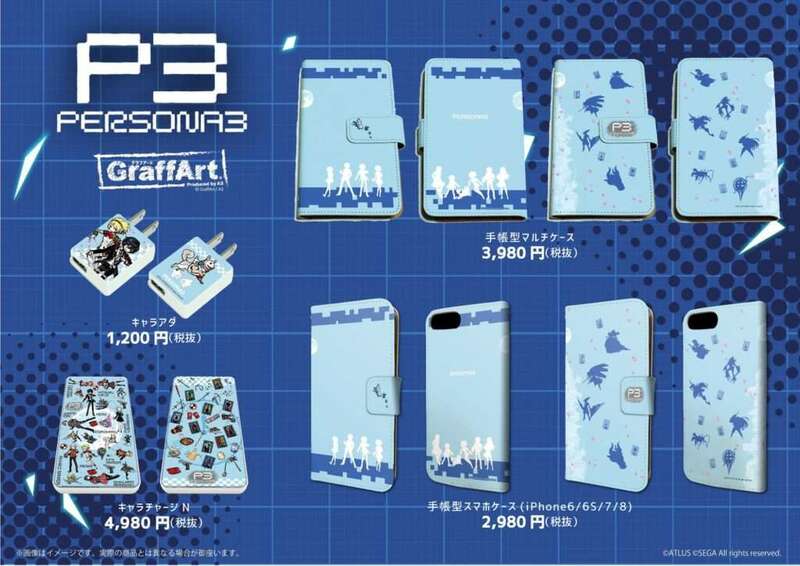 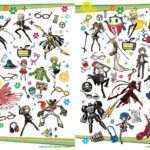 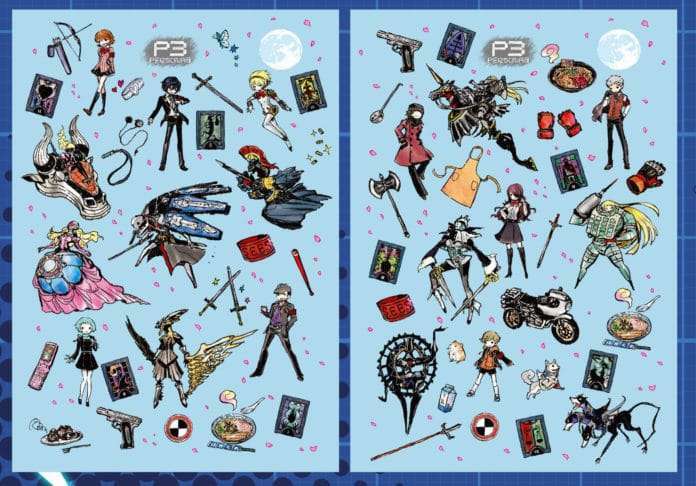 GraffArt has announced a new range of merchandise based on Persona 3. 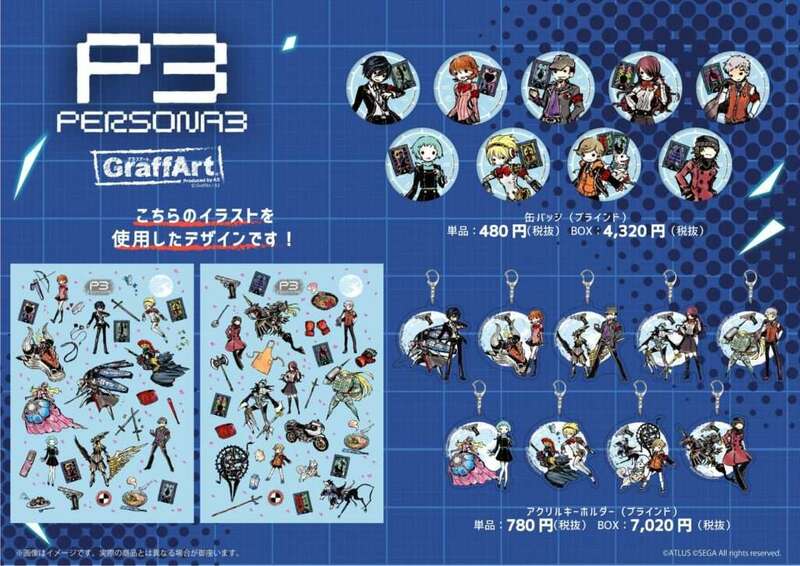 GraffArt is a series of merchandise produced by merchandising, event and PR company A3, in a style which combines graffiti and art. 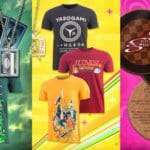 It’s described as a fashionable style which is often seen in cafés and restaurants. in a GraffArt series, characters are designed with a graffiti touch and incorporated into various goods. 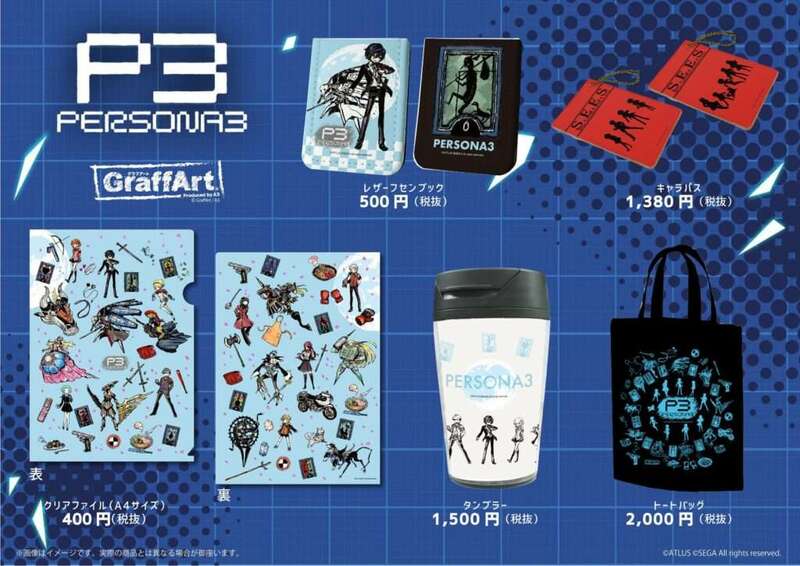 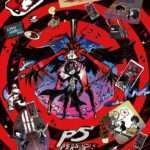 Previously, GraffArt has released merchandise featuring Persona 5 and Persona 4 Golden. 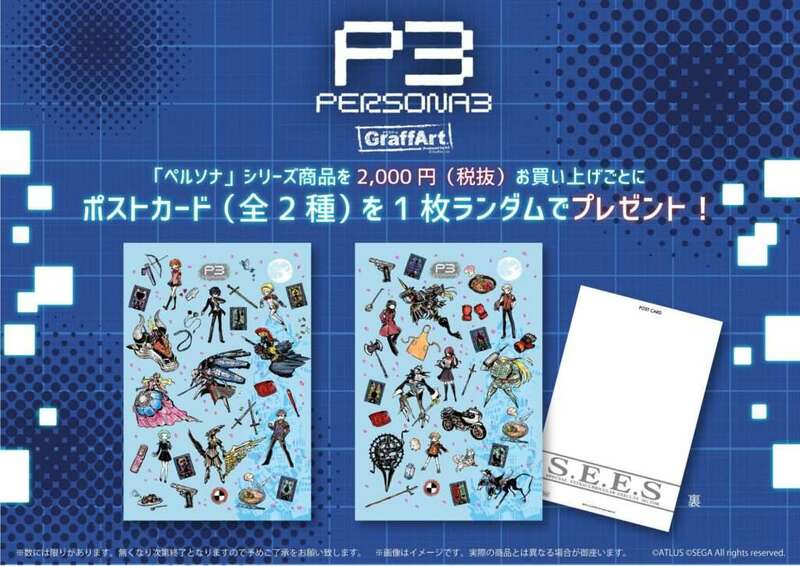 Postcards featuring the art will also be available as a purchase bonus if more than 2,000 yen is spent on GraffArt merchandise. 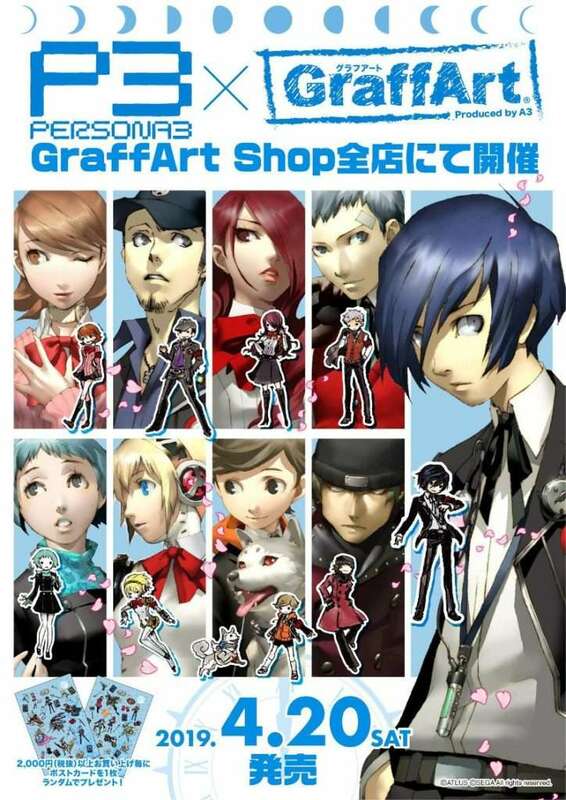 Merchandise featuring the art will be available on April 20, 2019 from various GraffArt shops in Japan, and from the online store.